I would open this post by saying that I'm sure every school boy has heard the story of how 300 battle hardened warriors held a tiny pass against a foe whose numbers literally dwarfed them for three days before being betrayed by a shepherd and then fighting valiantly to the last man. However, thanks to Zac Snyder and Frank Miller, this story that was once relegated to the high school and university classes was released to the world in the form of a graphic novel and one awesome movie. Though I couldn't find the bottomless pit. Anyway, I don't want to carry on about the movie (I can do that another time) but rather continue on with my theorising as to what would have happened if the Persians had conquered Greece. However I won't go into the background too much because I have already done that in my previous post. Rather I will give a brief run down of what happened, and then speculate on what might have been if Xerxes had succeeded. When Darius launched his second invasion of Greece (remember the first one didn't make it past the peninsula of Athos) he simply wanted to prevent another Ionian revolt, especially since much of the support had come from Athens. However after his rather embarrassing defeat at Marathon it had become personal. Unfortunately for Darius he didn't live to launch another invasion - that task had fallen to his son Xerxes. As the two naval attempts had failed, Xerxes decided that he would launch a combined land and sea assault, and just to make sure that he succeeded he raised what Herodotus had termed 'the greatest army the world had ever seen'. Since he didn't want to risk another sea assault, he decided that he would march on Athens by going the long way around, however due to the size of the army (though it is debatable whether it was as large as Herodotus claimed) he still needed naval support. Since he was making the move by land this wasn't going to be a quick invasion, and he also had to cross the Hellespont, which he did by creating a pontoon bridge. Herodotus remarks that the first attempt at a bridge failed, and in response Xerxes ordered the Hellespont whipped for daring to challenge his might. This obviously worked because the second pontoon bridge survived and he managed to get his army across into Europe. Unfortuately moving such a large army wasn't going to go unnoticed, which is why the Greeks ended up staging their defence at Thermoplyae. The reason for that was because, at the time at least, it was a really narrow pass and could be defended with minimal force. Also the Persian fleet had come down through the straights of Euboea which could also be held by a small naval force. Still, I'm a little baffled as to why Xerxes didn't ferry his troops across the gulf of Malia to get behind Leonidas and his forces, but that may have something to do with his fleet being held by by the Athenians in the straights of Euboea. Anyway, as the story (and the movie) goes, the Spartans valiantly defend the pass for three days before a shepherd tells Xerxes of a narrow pass through the mountains, of which he takes advantage. The Spartans are then surrounded and killed to the last man, while the Persians continue their march into Greece. In fact, after their victory at Thermopylae, there is nothing stopping Xerxes from getting into Attica and burning Athens to the ground, which he does. However the people of the city flee to the nearby island of Salamis, and the Athenian ships await for the approach of the Persian Navy. All I can say is that the sequel to 300 is nowhere near as good as the original movie (though the fight scenes are still pretty cool) and the authors have taken a lot more liberties in the story that they did in the original film. 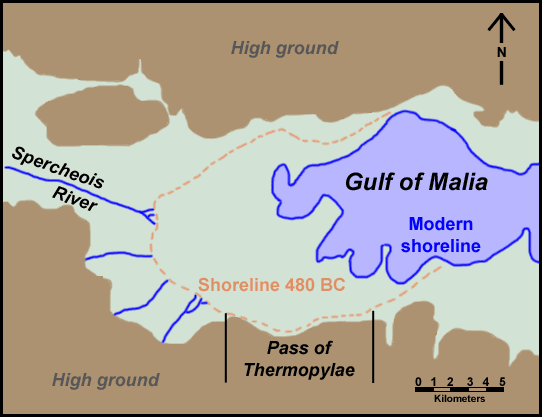 Granted, the Athenians were once again facing a vastly superior foe, and granted, they lured the Persians into the body of water between the island of Salamis and the mainland. However, they were not holding out in desperation for the Spartan fleet to arrive (the Spartans didn't have a navy - in fact not many of the Greek city-states, other than Athens, had a navy), but rather took the Persian fleet head on, and won. The reason for that is simply because the size of the Persian ships meant that they had a lot of difficulty manoeuvring in that body of water while the Athenian ships were able to take advantage of that. With his fleet destroyed Xerxes was no longer able to support such a large army and fled back to Persia in disgrace. It was suggested that they destroy the pontoon across the Hellespont, however that was quickly voted down as they realised that if Xerxes did not have a clear route back to his own territory then he would be much more dangerous, as he would be like a wild animal trapped. As such they allowed him to return, leaving a much smaller army, led by his general Mardonius, to attempt to salvage what remained. Mind you, adding to the embarrassment, Xerxes sat on a throne overlooking Salamis expecting to see a glorious victory only to be presented with a humiliating defeat (much like when you watch, with horror, from the football stadium, your team being decisively thrashed by the team at the bottom of the ladder - an experience I am quite familiar with). So, the question is, what happened after the Persian's were defeated? Well firstly the naval defeat at Salamis was swiftly followed by a military defeat at Platea, which resulted in the Persians being driven out of Greece. However the Greeks didn't leave it at that and pressed their advantage by not only driving the Persians out of Europe, but regaining control of Anatolia and then moving further into Asia Minor. After securing Europe, the Spartans and the rest of the Peloponesians decided to call it a day, however Athens wanted to continue pressing the advantage so set up an alliance called the Delian League (named after the holy island of Delos - which I have yet to visit) and continued to press the advantage. The victories continued until they decided to support an Egyptian revolt, where they were finally defeated by a Persian counter attack. It was then that the Athenians decided to call it a day and returned to Greece and govern their newly found empire. However this empire wasn't to last because very soon they were going to come to blows with their old ally - Sparta. However the story of the Peloponesian War is a story to be told at another time. It was during this period that Athens experienced what is considered her Golden Age. While the democratic institution had existed prior to the wars, the defeat of the Persians demonstrated that a democratic government actually was quite a strong government. It is also during this time that the great playwrights Aeschylus, Sophocles, and Euripides were writing. We also had the rise of the Sophists - what could be consider the ancient version of the lawyer, as well as the schools of philosophy, with Socrates being one of the most famous. The foundations of politics, art, philosophy, and science would filter down through the ages to have a huge impact upon our modern culture. If the Persians that won at Salamis no doubt the world in which we live would be a vastly different place. In my previous post I have outlined how a Persian victory would have had a significant impact upon our cultural foundations, and that would be no different if the Persians had lost at Marathon and won at Salamis. However a victory at Salamis would have brought further changes to the world in which we live. I have suggested that a Marathon victory would have resulted in the Persians establishing a beachhead, but would have probably let the Greeks continue to be Greeks after establishing overlords (or Satraps) in the region. However the third Persian Wars were different namely because to Xerxes this was personal. We must remember that he had raised a huge army to completely annihilate the Greeks because of the major embarrassment that his father has suffered at Marathon. An empire could not easily remain strong after such a resounding victory. As such Xerxes was out for blood, and if he had defeated the Athenians the rest of the Greeks would have known about it. Xerxes had already torched Athens, and after defeating the Athenian Navy he would have proceeded to kill all of the males and the elderly, and sent the women and children back to Persia as slaves. There was going to be no light touch letting the Greeks remain Greeks in this scenario. After decimating Attica he would have turned his eyes towards the Peloponese, and in particular Sparta. The Spartans had secured the Isthmus, but this was going to be no problem for a king with a powerful navy. While part of his army would prepare for an assault against the fortifications on the Isthmus, troops would be ferried across the gulf and strike out at Argos, Epidaurus, and then Cornith. He would then surround the garrison at the Isthmus and slaughter them. Once he had secured the Isthmus, his army would then march on Sparta. Okay, an assault on Sparta was not going to be easy, but Xerxes had an advantage - he had control of the Peloponese, as well as numerous victories behind him. Three hundred of Sparta's best warriors had been killed at Thermopylae, and a large number had also been killed at the Isthmus. 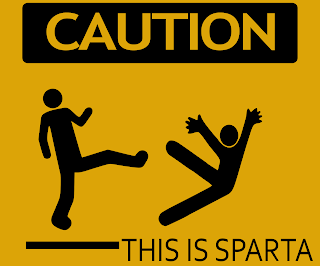 This was Sparta's last stand, and once again a victory was going to result in the annihilation of the city. Xerxes simply was not willing to give such a threat the chance to rebuild and launch another attack against his army. As such with the defeat of Sparta Xerxes takes control of Greece and then decides to call it a day. However, as with Athens, he does not leave the Greeks alone in Greece, but rather kills all of the males, and the elderly, and takes the women and children back to Susa where they are turned into slaves. In return he resettles people from other parts of the empire turning Greece not just into a Persian protectorate, but a Persian colony. Xerxes' invasion wouldn't be the end of Greek civilisation namely because they were experts in establishing colonies. In fact when the Greeks established colonies they had the extraordinary habit of not only surviving but prospering. There are many cities around today, Naples for instance, that originally started out as Greek colonies. 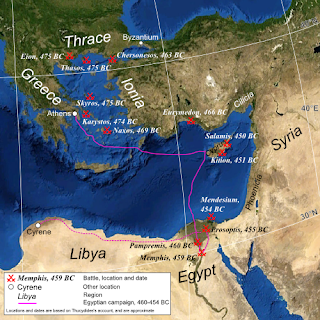 As such, when Xerxes invaded the Greek peninsula and pretty much conquered the entire region, there were places where survivors could flee, namely to Italy, Sicily and North Africa. This, in my opinion, would have had a significant effect upon history as it unfolded in our timeline. In our timeline the Greeks were centred around Greece and expanded out to these colonies, however in this alternate timeline Xerxes' invasion meant that there would have been quite a few refugees fleeing to the West (namely because to the east was Persia). As such these colonies would have had a population explosion, as well as having new colonies established. This, I suspect, would have had an effect upon two other powers that were developing at the time - Carthage and Rome. In our timeline the Sicilian city of Syracuse and Neapolis (Naples) were large and important Greek cities, however in this alternate timeline both of these cities become the centre of Greek culture due to the influx of refugees from the now conquered Greek peninsula. As such Greek culture shifts decidedly to the west and these two cities become the centre for a possible reconquest of the old lands. As such they end up becoming major states in themselves and are able to resist attacks against them by the Cartheginians and the inhabitants of the Italian Peninsula. In fact, in an attempt to secure their territories they end up subjugating the regions around them with the intention of preserving the Greek culture. With this turn of events the history of the Mediterranean turns out somewhat differently, with a large Greek presence right at the heart of what would become the Roman Empire. It also works to provide a buffer between the two rising powers of the Mediterranean. In fact, with the Greeks being very accomplished sailors, they are able to dominate this portion of the Mediterranean. The Romans only really developed a navy to counter the rising power of Carthage, and the first Punic War was a war for control over the island of Sicily. In fact the empire that controlled Sicily controlled the Mediterranean, which in this alternate timeline were the Greeks. This does not necessarily mean that the region became static, but rather that there was a new major player in Mediterranean politics. In our timeline the Greeks had generally been looking to the East, however with the conquest of Xerxes the Greeks instead went to the west. As with all major powers there is inevitably going to be conflicts at the fringes, this is what happened in this timeline. However the Greeks were always looking back at their original homeland, and were always seeking to attempt to return. Even with the gradual collapse of the Persians (there was no Alexander in this timeline) the culture of the Greek peninsula had forever changed. Even with Greeks striking at the cities from Sicily and Neapolis, the culture on the peninsula was never going to be the same. The Persian War - Salamis by David Sarkies is licensed under a Creative Commons Attribution-NonCommercial-ShareAlike 4.0 International License. This license only applies to the text and any image that is within the public domain. Any images that are the subject of copyright are not covered by this license. Use of these images are for illustrative purposes only are are not intended to assert ownership. If you wish to use the creative commons part for commercial purposes, please contact me directly.